Raquel Chinchetru is the founder and creative director of Breathing Being, and its work in well-being is guided by her education in psychology, fine art and her teaching and personal practice in yoga. Raquel works as a Chronic Pain Clinical Specialist at Pain Management Solutions where she uses her broad-based skill set to work with patients and a multi-disciplinary team of specialists to provide effective care according to best practice and NHS guidelines. She finds her education and personal practice in yoga and mindfulness extremely useful in combination with her background in psychology in her work with chronic pain clients. She holds a degree in Psychology, an MSc in Health Psychology (University of Westminster) and an MSc in Human Resources. 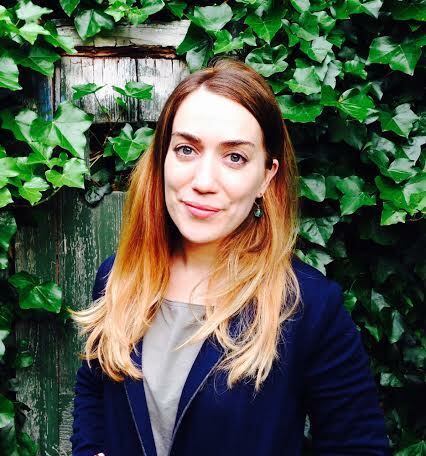 Raquel has also worked as an honorary assistant psychologist with CAMHS NHS Islington, London. She is interested in working towards the prevention of health conditions as well as helping people to develop an active role in the management of their conditions in order to restore a sense of physical and psychological well-being. Running alongside her academic education Raquel has been teaching yoga therapy for over 14 years. She has a gentle, friendly and open teaching style. Her main areas of work are chronic pain, back pain, women’s health (pregnancy, post-natal recovery and perinatal depression) and mental health (depression, anxiety and post-traumatic stress disorder). She completed the two-year Yoga Therapy Diploma taught by the Yoga Biomedical Trust (founded by Robin Monro) and additionally Raquel has taken several of Dr Shrikrishna Bushan’s retreats. Dr. Bushan skilfully leads participants into meditative states through pranayama, yoga philosophy and inner inquiry. The course provided the opportunity to train with some of the leading figures in yoga, including pregnancy, postnatal and baby yoga with Uma Dismore-Tuli and ‘well woman’ yoga therapy with Françoise Freeman. Raquel has also taken part in a diabetes for yoga trial, run by the Yoga Biomedical Trust in collaboration with GPs. She deepened her knowledge of yoga therapy with a course in Structural Therapeutic Yoga (Yoga and Ayurveda) with Mukanda Stiles. Once qualified as a yoga therapist, she continued her professional development by completing courses in Yoga for Depression and Anxiety with Heather Mason (The Minded Institute) and Yoga for Trauma at the renowned Boston Trauma Center in the US. More recently she completed a course in ‘Yoga and Mindfulness in the treatment of chronic pain’ at the Minded Institute. She developed and taught an innovative NHS-based Yoga Therapy treatment programme for Post-Traumatic Stress Disorder (PTSD) at the Maudsley Hospital in London. In addition, she gives lectures and provides supervision as part of training courses run by the Minded Institute. The other foundation for her work is her passion for Fine Art and she has completed a Fine Art degree in London (Sir John Cass Faculty of Art, Architecture and Design, London Metropolitan University). In recent years Raquel has run a private yoga therapy practice and also working for the NHS, working with people on a one-to-one basis and in groups, dealing with a range of physical and psychological issues. She also teaches yoga therapy classes for public recovery institutions and schools. Raquel is a graduate member (MBPsS) within the Health Psychology Division of the British Psychological Society, a member of the Yoga Biomedical Trust’s Yoga Therapists Association and is registered with the Complementary & Natural Healthcare Council. With Breathing Being she wishes to continue to teach, train, share and develop these disciplines to support others.